Today, January 26 is Australia Day. Today marks the anniversary of the 1788 arrival of the First Fleet of British Ships at Port Jackson, New South Wales, and the raising of the Flag of Great Britain at Sydney Cove. We wish all of you, especially our Australian friends a Happy Australia Day. 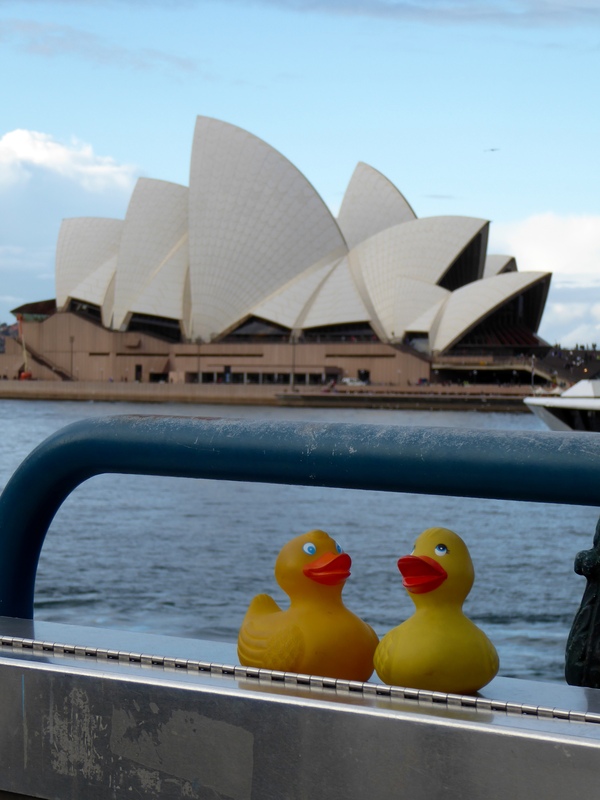 This entry was posted in Holidays, Uncategorized and tagged Australia Day, Colorado Traveling Ducks. Bookmark the permalink. Was in Sydney for about three days almost a decade ago and loved it, although I really enjoyed my time in Melbourne as well. We love Australia also. About 12 years ago visited Sydney and Cairns. Snorkeling on Great Barrier Reef. Loved it all. In 2015 went back for 2 months to explore Tasmania, Western Australia (love Broome), Northern Territory with great parks and the center–Uluru and opal mine areas. Still so much more to see. Sydney is a beautiful city, and we loved it. Thanks for reading and commenting. Thank you. We all stayed home and had a quiet day. Quiet days are good. Thanks for reading and commenting.